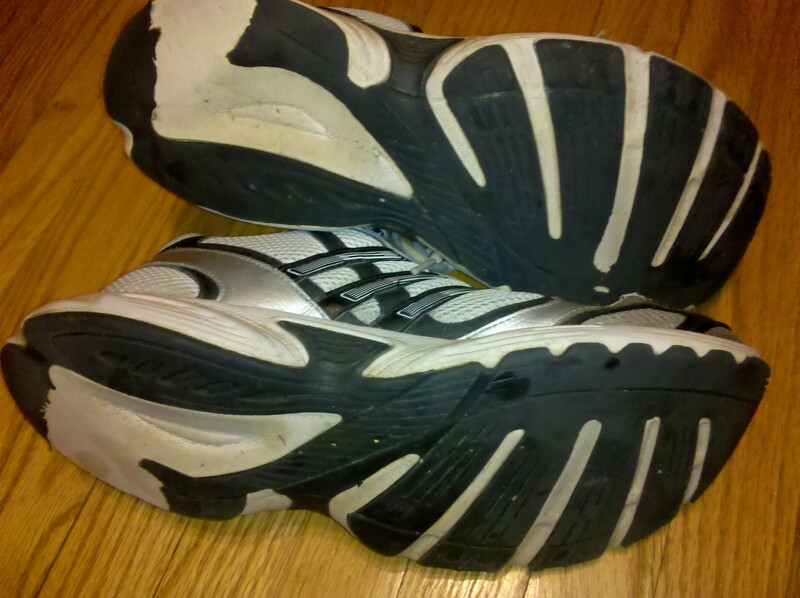 On May 26, 2008, I put on these then-brand-new shoes and went for a 5.45-mile run. Last Sunday, January 27, 2013, I put them on for a 3.5-miler. In between, they saw me through 1,758+ miles (!) of running. Following the westbound route I took on my summer 2010 road trip, that would have gotten me from my driveway almost to Gallup, New Mexico. My first five-mile race – (July 2008). My first full marathon – the 2009 Towpath Marathon. A few on Myrtle Beach in July 2008, a pre-dawn run on Old Route 66 in Missouri, and morning loop through Balboa Park during that 2010 road trip. Three Akron Marathon relays – two legs in 2009, and one each in 2010 and 2011. They also logged plenty of walking miles in visits to Stark Parks trails, Disney World, Turks & Caicos, and two Star Wars Celebrations. 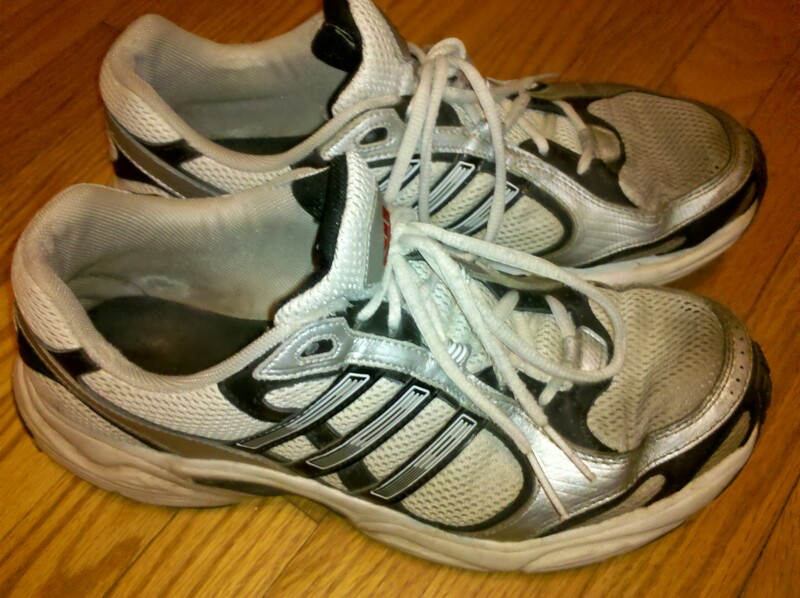 After almost five years and seventeen hundred miles, they’ve earned a rest, so today, I retired them from running. We’ll hang out for everyday stuff now. 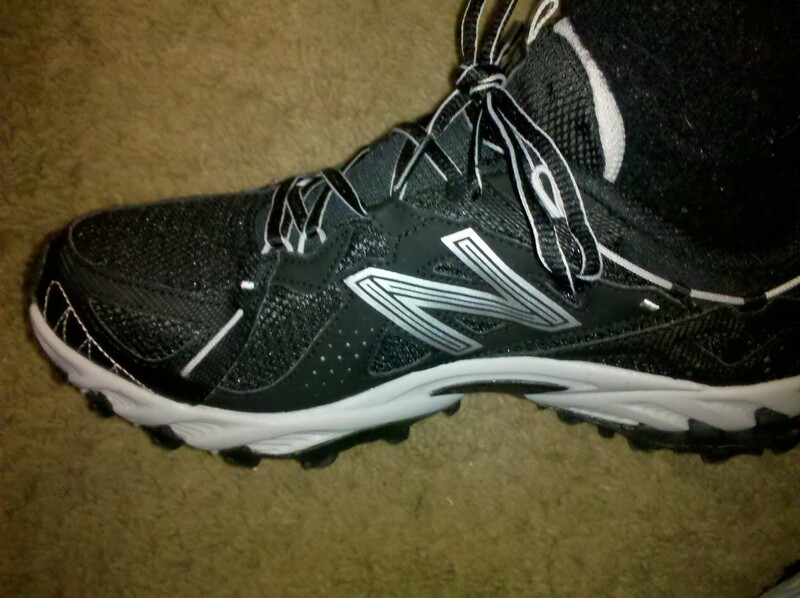 I went out in snowy, 20-degree weather today in this new pair of New Balance trail running shoes. While I rarely log actual dirt path miles, almost all my running is outside, and most of it is over semi-rural roads, many with gravel shoulders. I wanted something that could handle rain and snow and puddles. I sought the advice of In Like A Lion co-founder Keith, who said while the shoes would likely be slightly heavier than a straight-up running pair, they’d be fine even for longer pavement runs. I was glad for the trail tread in the snow today, and my feet stayed dry. I like the new shoes so far. It’ll be a few miles before we get fully used to each others’ company, of course, but it was a good start.